Driven to provide excellent customer service. Prompt, superior, consistent service from a locally owned company that is backed by a national network of contractors. Assurance that your goals and needs are always addressed in a comprehensive and professional manner. Ongoing communication from a skilled account management team. A commitment to safety, education and industry best practices. 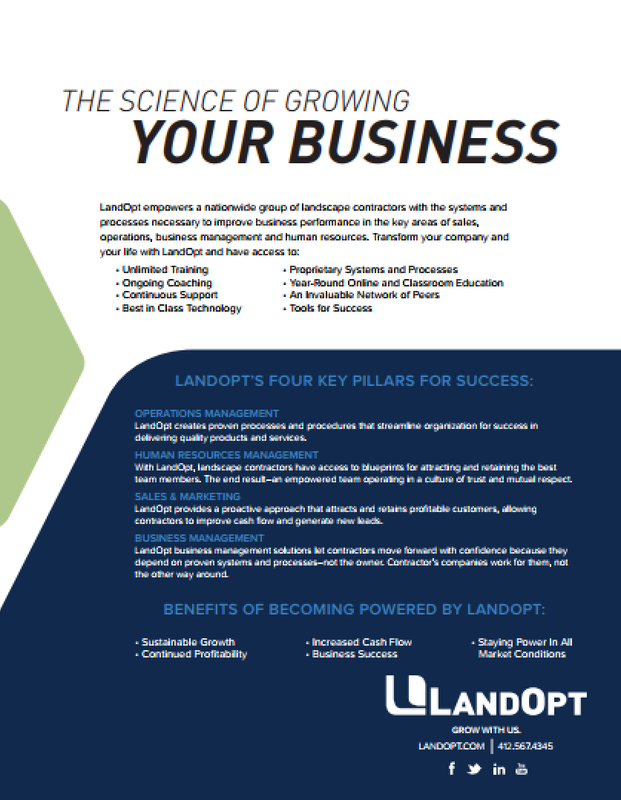 Download the flyer to read more about the benefits of working with a Powered By LandOpt Contractor. Backed by a national network. LandOpt Contractors have access to technology, training and other resources that help them become leaders. They network with other LandOpt Contractors across the country on a regular basis, sharing industry know-how and best practices. What’s more, LandOpt Contractors are passionate about the Green Industry. They take pride in being part of your local community and value long-term relationships with customers like you. 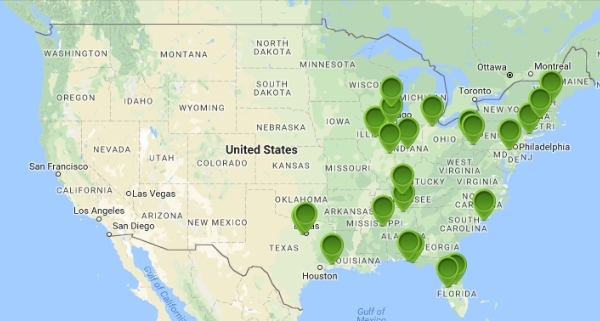 Click on the map to find the Powered by Landopt Contractors in your area.